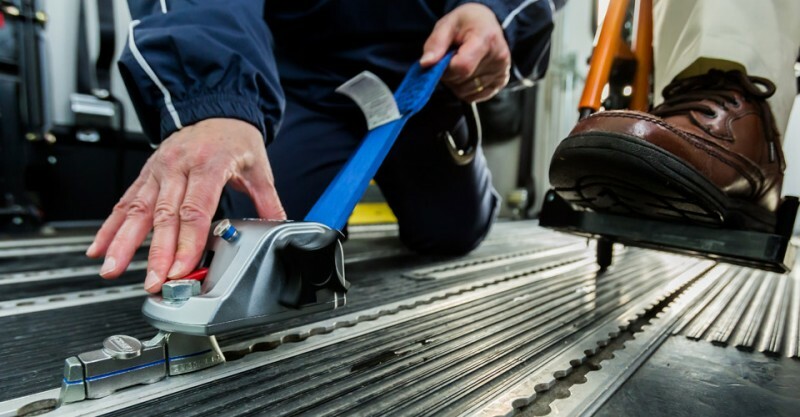 Did you know that the Americans with Disabilities Act (ADA) requires that securement systems be made available on buses for people with limited mobility, such that an occupied wheelchair or mobility aid cannot move more than two inches in any direction under normal vehicle operating conditions? The rules of the ADA require buses to have at least two spots fixed for wheelchairs according to matching eligibility criteria. Transportation is undoubtedly one of the greatest concerns for those with limited mobility. Both fixed route public transport and para-transit vehicles make it easier for people with special transportation needs to travel from one place to another. However, the chance of injury to a person with a disability is 45% higher than individuals without mobility impairment in case of a crash. The advantage with para-transit is that it is a door-to-door service for people with disabilities, which avoids the potential inconvenience of having to wait at a bus-stop to board a standard mass transit bus. Also, para-transit vehicles are typically constructed to conform to the needs of people with disabilities, keeping in mind specific safety guidelines and precautions. In order to meet ADA standards, para-transit vehicles should include a recommended wheelchair securement, such as the TITAN800. These types of securement provide enhanced safety to wheelchair and scooter passengers, as well as other travelers within the vehicle. These wheelchair securement systems typically include belts and metal retractors. Either two or four belts are used to secure the wheelchair to the floor tracks of the vehicle. The metal retractor is fixed onto the floor tracks of the vehicle and the hook is attached to the wheelchair with retractable webbing. The mobility rider can be further secured with an occupant restraint system, which includes one diagonal belt running through the shoulder and another around the pelvic bone. Anyone with ambulatory restrictions must wear these belts while traveling unless a doctor advises against it due to a pre-determined medical condition. 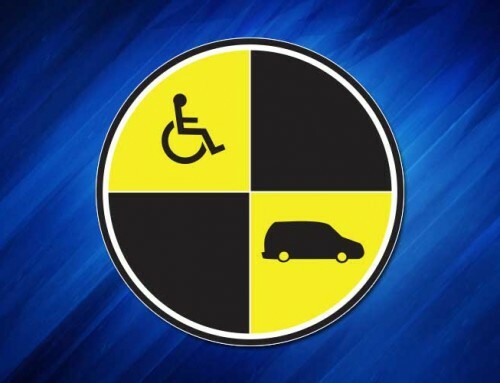 The para-transit wheelchair securement not only minimizes injury during a crash but also prevents injuries during normal vehicle movement, like sudden stops or sharp turns. Contact us to learn more about the TITAN800, tested and proven to be WC18 compliant and compatible with WC19 wheelchairs.